We tried a number of things, including the DRAM swap. Today, we performed the SRAM swap. 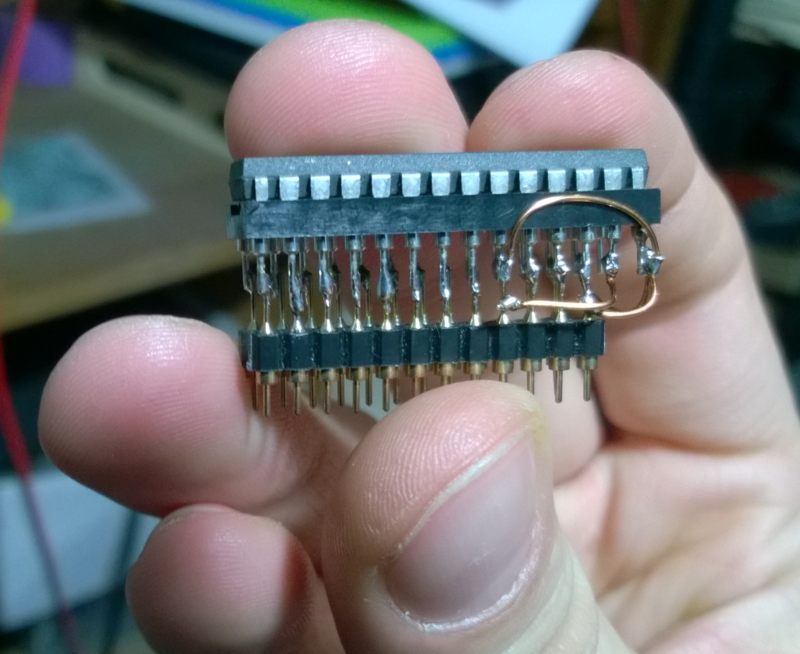 Since we were not able to obtain the 16kbit chip equivalents to original, we took 64kbit chips and made a pin adapter. 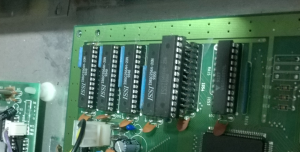 The 64kbit alternative has 4 more pins – we linked the A11 and A12 address pins to the ground. 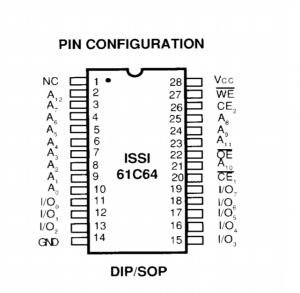 We used the IS 61c64 chips (datasheet: http://pdf.datasheet.live/006fc7c7/issi.com/IS61c64-L20N.pdf). We took 2 dual inline (DIL) sockets and linked the matching pins directly. 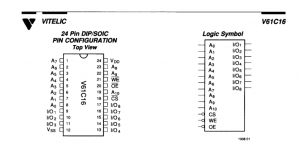 For other pins, we cross-linked the pins with wires (mostly to VCC and GND). 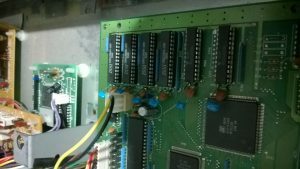 We tested each socket on the main board independently and tried out both 16kbit chips which Dejan took off the main board. Unfortunately, there was no difference in the sound. As a final attempt, we added new capacitors to all RAM chips.